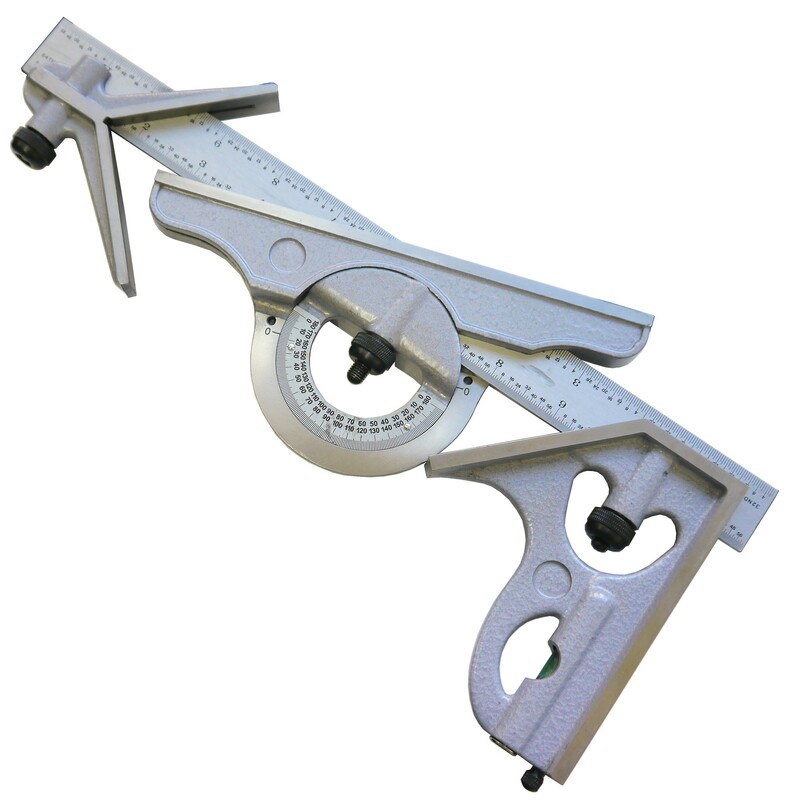 4 pc set includes machinist blade, square/miter head, protractor and center head. Blade fully hardened and tempered. Calibrations are 32nds, 64ths of an inch, and 10ths and 100ths of an inch.